The needs of our clients around the globe require innovative and flexible solutions; with specific offerings and speedy delivery we aim to meet and exceed highest expectations. 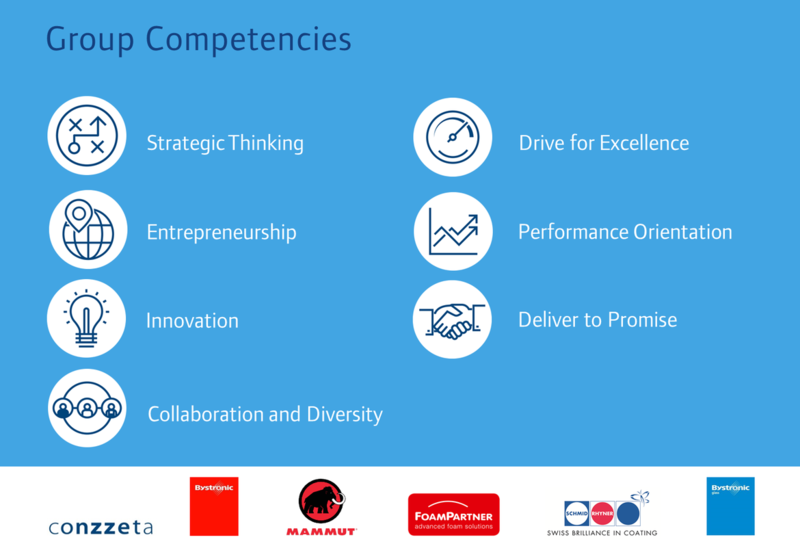 The below competencies are key to achieve our goals and to foster a culture of excellence, performance and success across all the businesses of Conzzeta. They are the basis for the selection and development of talent in key role.